Ever wonder where the photo on our E3 bottles was taken? It’s Upper Klamath Lake where E3Live Aphanizomenon flos-aquae is wild harvested. (Mt. McLoughlin in the background). the world, impossible to artificially duplicate. (which created nearby Crater Lake). needed for the algae to grow to its full potential each year. 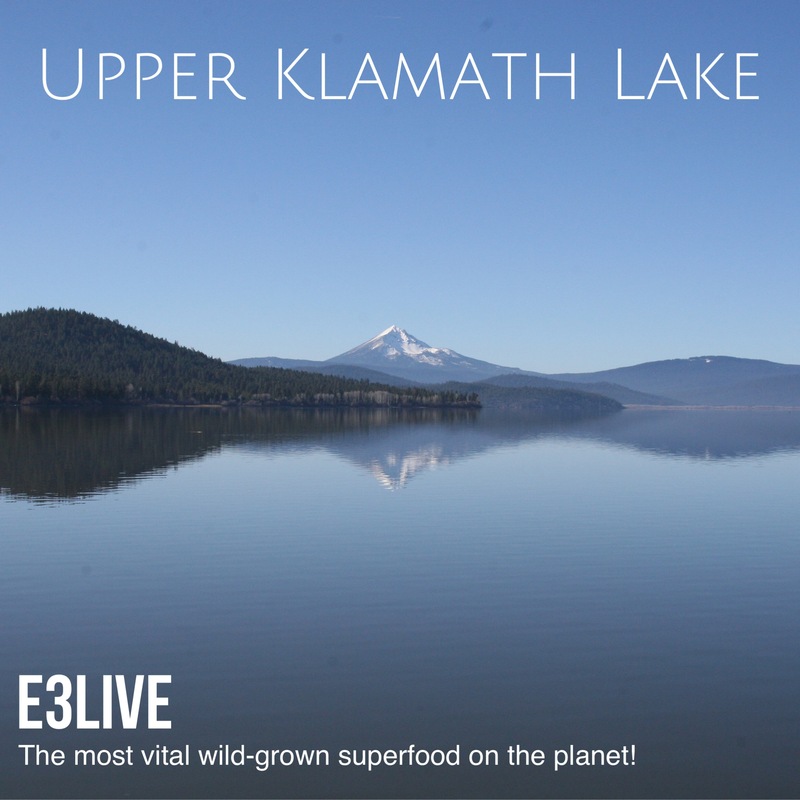 E3Live – the most vital wild-grown superfood on the planet!